Can be found on the sandy flats on the southern coast. Deadsea, I would agree, a H/P Shimmershell Snail for example seems a better choice with stronger damage, shield and healing. That said, you can find a level 23 Rapana Whelk easily whereas the Shimmershell starts around level 3-6 so can be slightly more of a project to get to 25. Tradeoff between H/P and H/B probably won't ever be much of a difference in fights. A team of these is the only way I have beat Chi-Chi since blizz nerfed the howlbomb. Rapana Whelk don't care. Rapana Whelk won't receive almost no damage and will heal whatever is there. Rapana Whelk will catch many smaller pets because it won't deal much damage while not receiving much damage. Rapana Whelk is a pretty cool dude. PS: Yes, i know you could do it with any other Snail as well, but i found a rare level 25, so i didn't have to level it a lot, and it's now my go-to whenever i really want to catch a pet. And it helped me catch my Minfernal, so go Rapana Whelk! @Sonnisann: It's their racial. Critters like the Rapana Whelk are immune to stun, root, and sleep effects. This snail is one of the easier ones to capture at a higher level than say, Scooter, and is an excellent pet to use against elementals, especially ones that use small damage multistrike abilitites. Ur you can trade the Shell Shield for Acidic Goo, then use Dive for an absolutely massive blow. Can't help but notice that no one said anything about this critter pet (which is supposed to be immune to sleep effects) being put to sleep by moths. Has anyone else experienced this? I agree with Melmo in that I don't see the point of getting a S/S breed snail, aside from the completionist/novelty factor. You're losing a fair amount of health and power for the sake of speed that isn't likely to help much anyway. Shoring up your weaknesses is a nice idea, but sometimes your effort is better spent improving what you're already good at. H/B breed all the way. I found a rare today as a secondary pet. It was behind a silent hedgehog. This is one of my go to pets for spirit tamer battles. 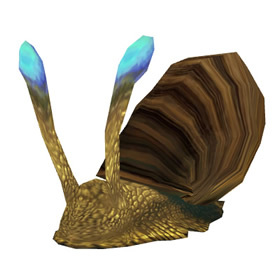 Snails in general are great against elementals as they have both a hard and soft counter (aquatic abilities for extra damage and critter type for less damage taken). 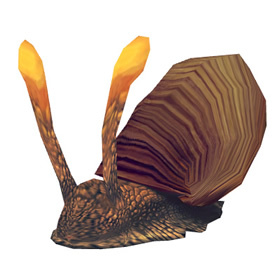 Since this is the highest level snail tameable it makes it a mist have for pet battlers and well worth farming a rare. 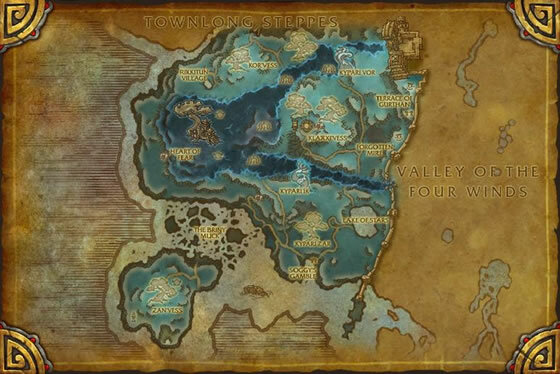 I just found my blue Rapana Whelk, can't believe how many battles I had to fight in Dread Wastes. It was a 24 H/B in the Chittering Coast. I was at the point of believing that they were only a myth. It was the secondary pet. This is the only snail with the blue antennaes as far as I know. I had much better luck capturing a rare Silkbead Snail than I did one of these guys. Mine is (somewhat sadly) an 18, but as the Silkbead and the Rapana have the same abilities, I definitely recommend them for the Spirit Tamers if your luck is similar to mine. this guy is consistently awesome against the Pandarian spirits. Had a spare Critter stone, so I used it on a poor-quality Breed 5. I only encountered poors and commons even after a hour, but this was the only one with the high speed rating. Thanks to the tool on this website, I determined that this was indeed the S/S breed, so I capped him and stoned him. Update: The only snail with this abilities an a pure speed breed (260 at 25 / blue)! One of the best pets to fight the pandarian spirits in those spirit dailies because of its durability against elemental spells (-33% dmg taken from elemental spells as critter) and at least its the only critter that I know which has an aquatic spell to hit those pandarian spirits with 50% more damage. The shield and absorbe spells are also strong in those battles against pandarian spirits. Has been spotted fighting other whelks for prime food sources.